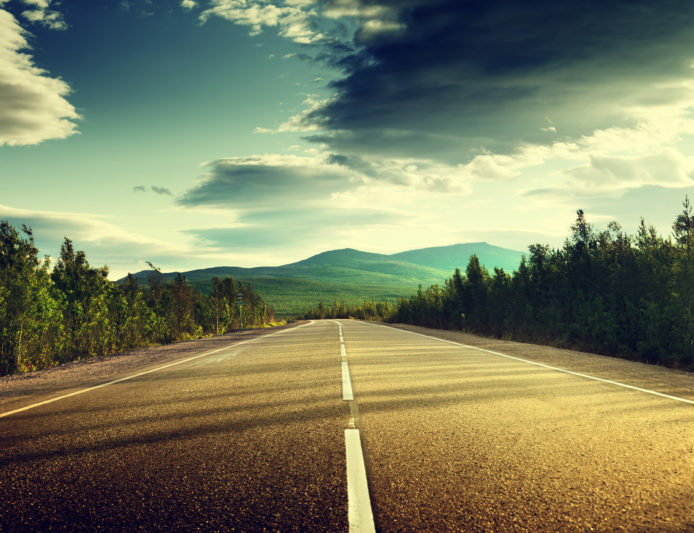 In need of a little inspiration for your next road trip? Get cozy and press play on “To Catch a Thief,” starring Grace Kelly and Cary Grant, and get ready for your most wonderful getaway yet. Equipped with a blue convertible, incredible scenery and an enviable cast, this classic movie has all the makings of a perfect road trip. While the French Riviera may not be the most accessible destination for these purposes, do start by choosing a worthwhile place to spend your gas mileage. Because isn’t the whole point of a road trip to enjoy the drive? While a coastal view is never a bad idea, you get to choose your dream-worthy getaway (a charming co-pilot can’t hurt either). Are you, for example, a desert person or do you prefer a more mountainous terrain? This is the land of national parks after all. Since you could spend forever day-dreaming about the options, trust your gut on this one and just do you. Or maybe write down a bunch of options and pick one out of a hat… if you’re feeling extra wild. While not everyone can pull off pink silk quite like Ms. Kelly (we’re looking at you, boys), bring a couple of outfits that you can feel fancy in. A sundress. A suit and tie. If you do shell out for that convertible life, bring those sunnies and a cap for that inevitable breeze. Grace would approve!